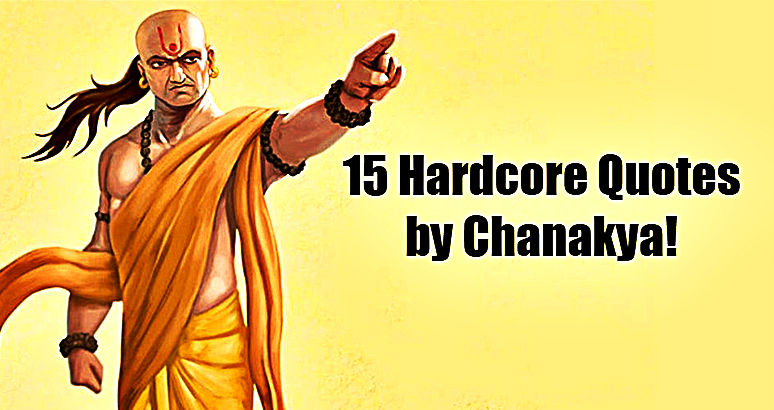 15 Quotes by Chanakya That Shatter Every Fakery of Life! Truth is really rare these days. I mean real truth, the one that penetrates through all the pretense and speaks directly to your honest heart. There are all these shoulds and woulds of how life should be lived, but if you want an honest advice, go to old people. They will tell you exactly like it is because they have nothing to pretend for anymore. Such wisdom grows with years because as you age you grow tired of all the fakery around you. You simply don’t have time and energy to tolerate any more of those insignificant games society plays. So you focus only on what’s real and true to your heart. By learning from the wisdom of those who are ahead of us, we become wiser with our choices when it’s our time to experience them. Because life is short, learning all the life lessons with our own experiences is impossible to attain. That’s why every person who aspires to live their life the best they can has to study and learn from the lessons provided by other people who walked their journey to the truth. Chanakya, (350-275 BCE) was an Indian statesman and philosopher, chief advisor and Prime Minister of the Indian Emperor Chandragupta, the first ruler of the Mauryan Empire. He was famous for his brutal wisdom and telling things as they truly are. The following quotations by Chanakya made me a better person just by reading them!